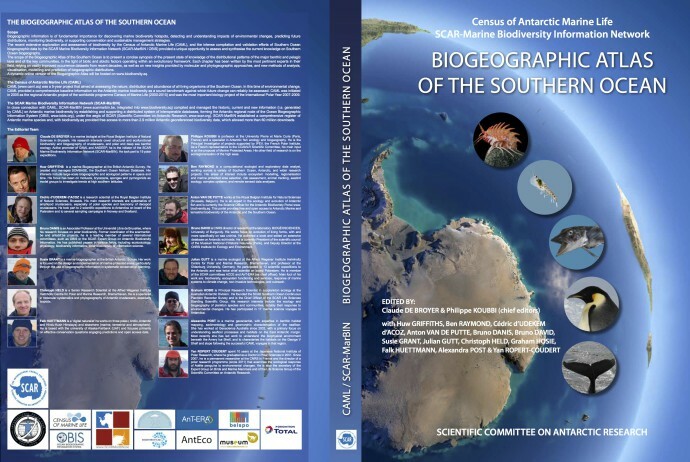 The SCAR Biogeographic Atlas of the Southern Ocean has been officially launched at the SCAR Open Science Conference in Auckland, New Zealand. 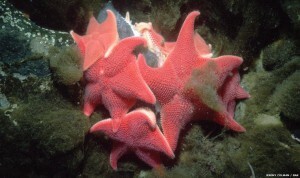 The Marine Biology Lab of the ULB has been heavily involved in the effort, mainly in the edition, data mobilization and writing of the book. You can download the first chapter of the Atlas as a preview. Below is the press release, as prepared by the British Antarctic Survey. The new Atlas, providing the most thorough audit of marine life in the Southern Ocean, is published this week by the Scientific Committee on Antarctic Research (SCAR). Leading marine biologists and oceanographers from all over the world spent the last four years compiling everything they know about ocean species from microbes to whales. This week, we are hosting another workshop to scope out the next steps for the Microbial Antarctic Resources System (mARS) , a followup project from SCAR’s Expert Group on Antarctic Biodiversity Informatics (EG-ABi). The participants include Alison Murray (Desert Research Institute), Anton Van de Putte (biodiversity.aq), Nabil Youdjou (biodiversity.aq) and Bruno Danis (Marine Biology Lab). PhD students from the CCAMBIO project also attended, as beta-testers. 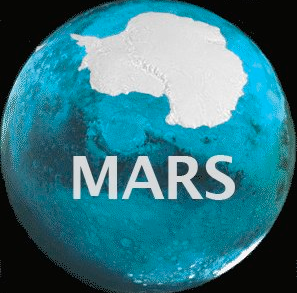 The Microbial Antarctic Resources System (mARS) is envisioned as an information system dedicated to facilitate the discovery, access and analysis of geo-referenced, molecular microbial diversity (meta)data generated by Antarctic researchers, in an Open fashion. The scope of diversity will encompass all freel-living and host-associated virus, Bacteria, Archaea, and singled-celled Eukarya. mARS focuses on past, present and future works. It offers a community-driven platform for scientists to publish, document, analyse and share their (meta)data with the broad community for science, conservation and management purposes, in the spirit of the Antarctic Treaty. This week, we will be beta-testing the mARS to take it to Step 3, as described in our vision document. Most, if not all, Antarctic ecosystems are home to microbes that can span the range from sparse to dense and low to high diversity assemblages. These organisms o<en harbor specialized capabilities to withstand the environmental extremes that the high latitudes of the Antarctic pose. This session welcomes contribu/ons to our understanding and appreciation of Antarctic microbial systems, exploring diversity and ecological roles, contributions to biogeochemical cycles, and interactions between organisms (symbiotic, predatory or parasitic) and ultimately how microbes come together to influence Antarctic systems. The increased recognition of microbes in all domains of life inhabiting Antarctic ecosystems – and in some cases not only surviving, but thriving in these systems (e.g. aquatic, icy, soil, rock, subglacial, marine benthic or pelagic) is gaining traction largely due to increased scientific exploration of diverse environments paralleled with technologic improvements in molecular sciences (e.g. next generation sequencing and bioinformatics analyses), application of geobiological tools, and remote sensing of both environments and organisms. This session has been developed by AntEco and the International Union of Biological Sciences. mARS is composed of interoperable modules, iteratively building the microbial component of the biodiversity.aq network. To the best extent possible, the wishes of the community regarding mARS functionalities will be reflected in the flexibility and scalability of the system. Feedback is expected from the users community in order to align their needs and the functionalities of mARS. This week, we will try to get through Step 3 of the mARS system and prepare for Step 4 once we have enough data in mARS to make it worthwhile. You can find more on the mARS white paper page.